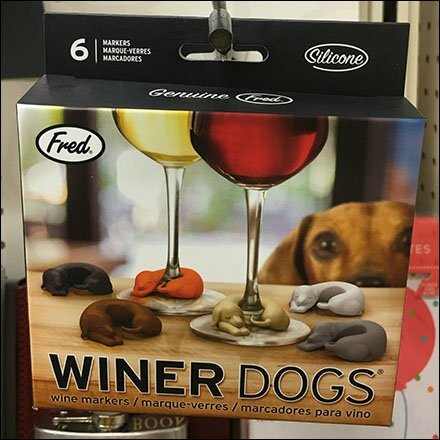 A play on words, these Winer Dogs For New Year’s Eve Wine Lovers are Weiner Dog or Dachshund Dog wine glass markers. That way everyone at the party can keep track of their personal glass well past the point of inebriation. And Winer Dogs For New Year’s Eve Wine Lovers are easy to find, Scan Hook Merchandised at Target. Get there early for best selection.